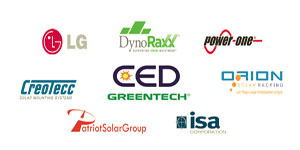 Patriot Solar Group (PSG) will be participating in this year’s California Commercial Racking Road Show. The event is aimed at introducing the most cost-effective, scalable, rapidly deploy-able and uniquely engineered systems on the market today. PSG will be guest speaking along with other industry experts about the advantages and the abilities of the commercial products that these companies offer to their customers. Attendees of the event will be exposed to the best in class ground-mount and flat-roof PV mounting systems. Additionally attendees of the trade show will receive a catered lunch, and a raffle entry for a 55′ LG TV or an iPad. The event is a major networking opportunity for all companies and will expose attendees to advanced achievements in the solar racking industry. The cost to attend is $50/company. Please contact Greentech with any questions at (510)352-8460.